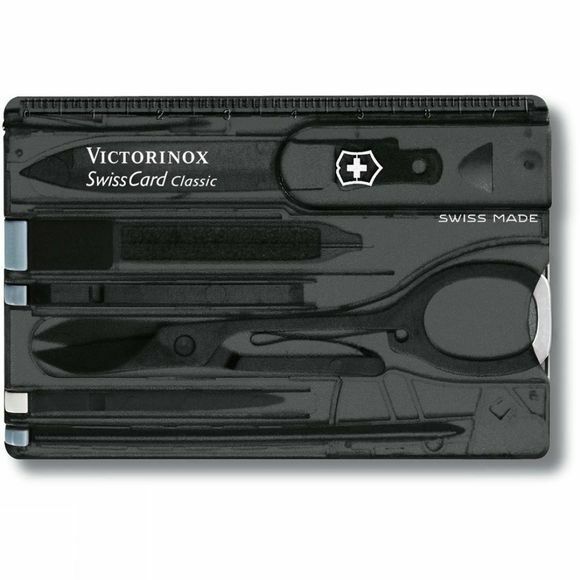 Fantastic credit card sized tool with loads of handy features. All the tools slide into the transparent case. Thin enough to keep in your pocket or wallet. 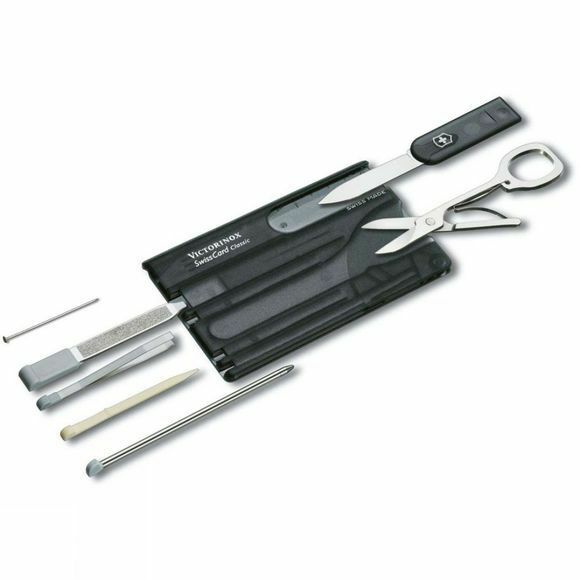 With nail file, scissors, small knife, tweezers, tooth pick, pen and ruler.